A very cool little appliance that looks @ your VM's and everything they interact with. Unfortunately, the installation can be fraught w/ issues. I for one found a bug w/ vCenter 5.0 and VIN 1.1.1 (where VIN 2.0 might have been introduced before). Specifically, I was unable to apply a VIN 1.0 license to my VIN 1.1.1 installation because I tried to introduce VIN 2.0 first. Interestingly, my 2.0 key worked fine w/ the 1.1.1 version. Long story short and to make it simple don't introduce VIN 2.0 unless you are on vCenter 5.1. If you have not deployed VIN ever to your 5.0 environment, then I recommend you deploy VIN 1.1.1 and save yourself some headaches. Otherwise, here are some remediation steps you can take to deploy VIN if you did what I did or set it to auto-upgrade w/o knowing better. To remove select UnregisterExtension and paste com.vmware.vadm into the box and select "Invoke Method. You'll get a null return, this is fine. 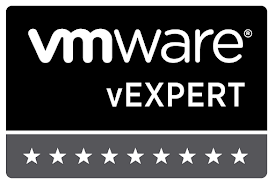 Now if you refresh your MOB page, you should no longer see com.vmware.vadm in the extension list. Finally, you'll need to delete the related extension folder from your vCenter's file system. I'm assuming Windows here, not sure where these would be on the vCenter appliance. Now you should be able to re-import the VIN vApp and it'll re-register all its components.